You’ve been hauling around that stale vanilla Christmas tree on the rearview mirror of your dropped El Camino since 1991, so the smell has long since turnt burnt. 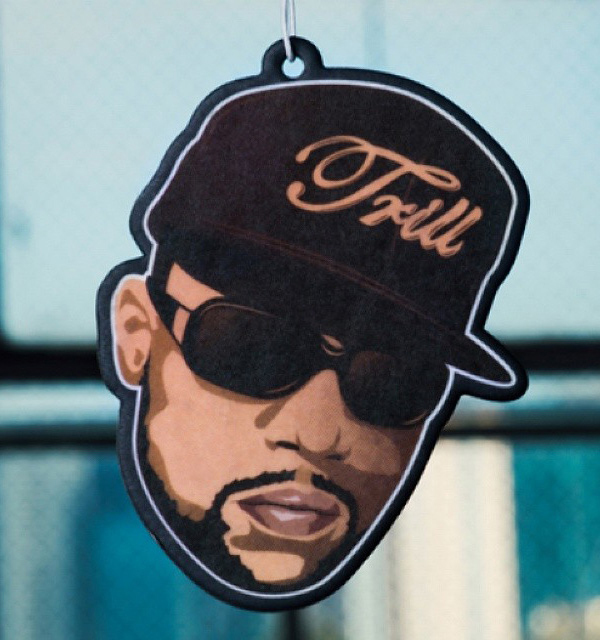 Maybe you changed it out to something more gangsta with the delightful bouquet of Hangin’ With the Homies first release last year (remember their awesome Dr. Dre & Eazy E fresheners?). Now Hangin’ with the Homies brings the UGK to your very own dashboard, in the form of the much missed Pimp C. Note that the scent of big pimps is not available in either dirty money or syrup sip, but rather only “new car”. Start ridin’ dirty for only $5.